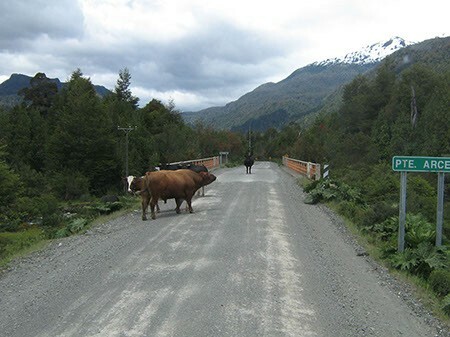 The Austral Road (began construction in 1979) starts South of Puerto Montt and makes it way through mighty fjords for over one thousand kilometers. Glaciers born in the Andes come to die here in the Pacific Ocean. The famous ice-field spreading from Coyhaique to Tortel fades away in Mount St Valentin (4,058m) near the well known San Rafael Lagoon. Further South this land is virtually unexplored. The aim of this journey is to thoroughly explore this region recently opened to tourism, discovering real stunning landscapes of temperate rainforests, snowcapped mountains, hanging glaciers, deep fjords, thermal waters and beautiful lakes. 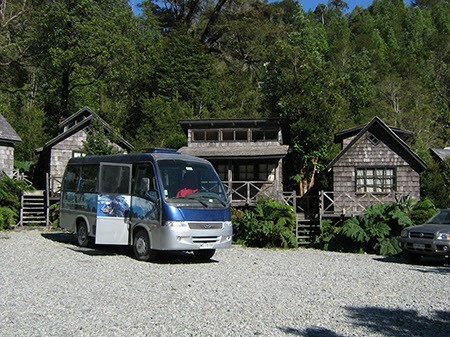 We overnight in lovely lodges or in remote fishermen villages, travelling by plane, car or boat. Current price may vary due to elements out of our control, so please always check by sending us a quotation request . September 1 ( full) - September 15 - September 29 - October 6 - October 20 (**) All fixed departures are shared. We also organize private departures at other dates upon request. Validity: September 2017 through May 2018. Includes: 6 days / 5 nights. breakfast included, all ground transport with local guide and all lunches and dinners mentioned in the program. Rated: Easy. This journey is rather comfortable with overnights in double rooms in hotels and involving only gentle hikes. However some drive may be long. Included: Lodging in double room with private bathroom in hotel and beautiful lodges, meals as specified, private transportation, experienced guides, excursions as specified, park entrance fees. Not included: Other meals, drinks, tips, domestic flights not indicated, airport taxes and liquor. 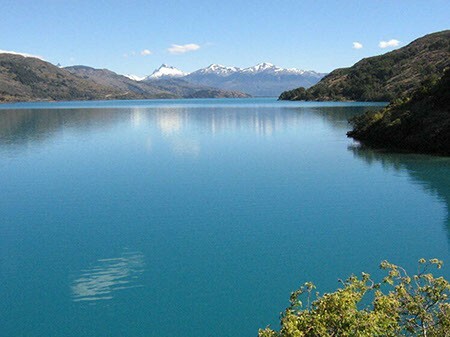 Note: Southernpatagonia reserves the right to modify itineraries and lodging if circumstances call for it, without previous notice. Minimum of 2 passengers is required per tour. We recommend contacting us in advance to make sure there are sufficient passengers for your preferred departure date. If there are more than 4 passengers departure can be arranged for any day of the week. 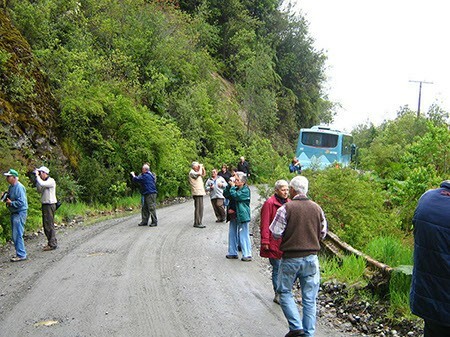 09.00 – Reception at La Teresa (km75, Valle Exploradores). After a general orientation we begin the day by crossing the Exploradores river and then transferring to Puerto Grosse in a van. 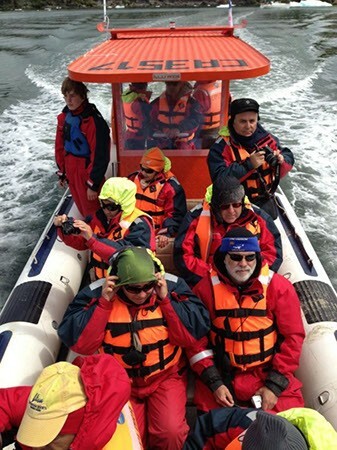 The guide and boat Captain will equip everyone with life jackets and for passengers in Explora I a floatation suit, before explaining safety considerations and outlining the route and some of the points of interest to watch out for. 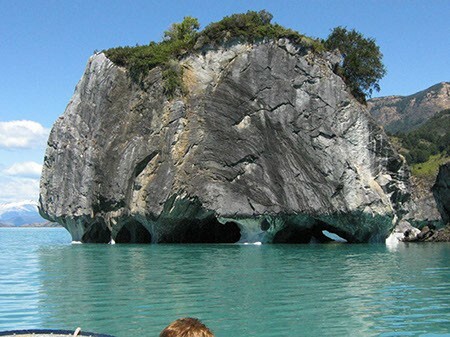 The first part of the journey is the descent of the Exploradores river, passing through the delta and out into the bay. Once past the Caldera point the boat heads south crossing the Gulf of Elefantes, and navigates the Sisquelan Point. 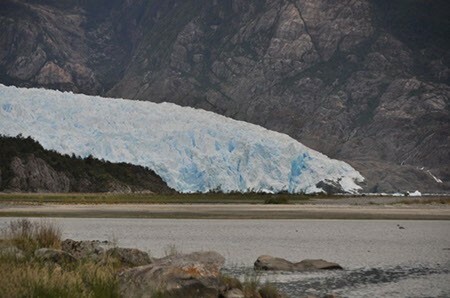 From the Leopardo Point and entering the Tempanos (iceberg) river it is common to see an increasing number of ice blocks and eventually large bergs stranded in the shallow water of the river. It is common to see Chilean and Peeles dolphins along with seals and a wide variety of sea birds along the route. 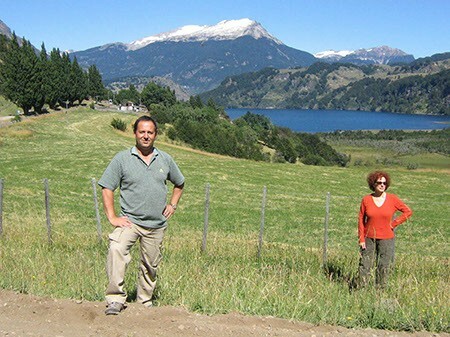 The views to the Gualas glacier and up towards Mount San Valentin are unique from the sea..
13.00 – Arrival in Laguna San Rafael. 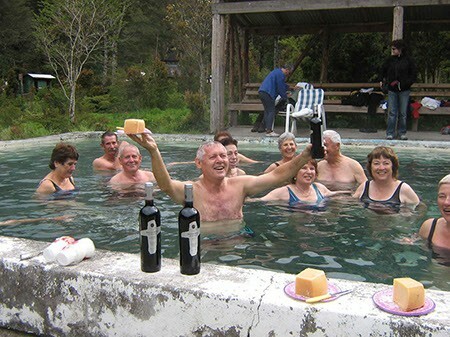 Once in the lagoon the order of activities is adapted to each group and the conditions. • Ice bergs – the most curios, colorful and biggest bergs will be visited and circled for the best views, light and photography. The variety and uniqueness of the bergs is always surprising and a beautiful spectacle for all visitors. • The glacier face – the boat will get as close as safely possible to the huge wall of ice where there will be time to see some of the impressive calving activity – an unforgettable experience celebrated with a wee dram of scotch on the rocks. 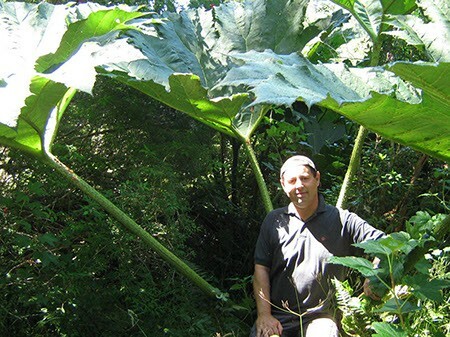 • History, nature and science – At different moments your guide will explain the different phenomena and processes that can be seen and will respond to your questions and curiosity. • Short walk – The dock or the beach are options for getting off the boat and walking a Little. The views and contrasts between the bright, white glacier, the rich green forest and the sandy beach are even more marked and impressive from land and open up opportunities to experience the flora and fauna that cannot be appreciated from a boat. • Box lunch picnic – either served on the boat in front of the glacier wall or on the beach, in sight of the glacier and icebergs. 16.00 – Beginning of return journey. After enjoying the last opportunities to see the icebergs and glacier the return journey to Bahia Exploradores has equally impressive views while travelling north. Once in Puerto Grosse the van and river boat complete the transfer to La Teresa and your vehicles or transport services to Puerto Tranquilo.